Dissolved Air Flotation is mainly used for FOG, BOD, COD and SS reduction. 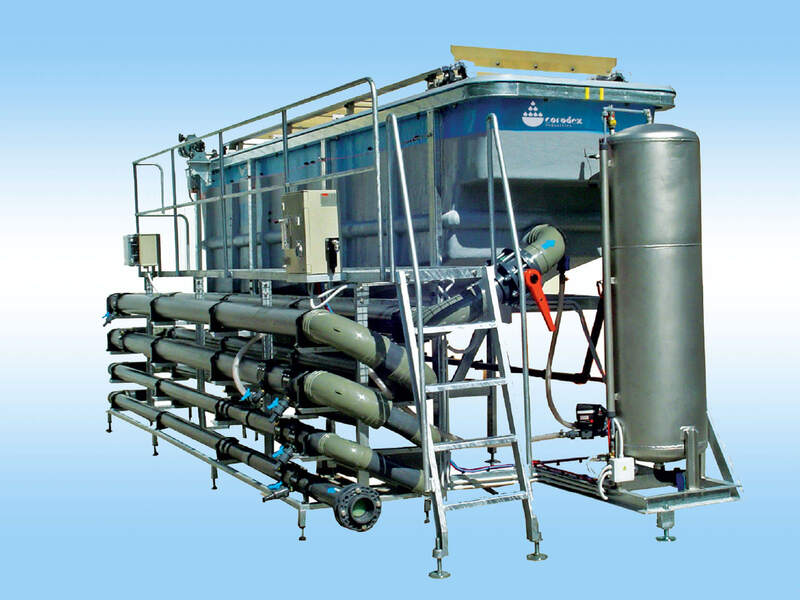 The Corodex EFLODAF uses the principle of air flotation to separate contaminants from wastewater streams. Contaminants such as emulsified oils and greases are first broken from suspension using coagulant dosing. These small contaminant particles are united using flocculant dosing to create larger particles. These particles are persuaded to float to the surface of the tank by the introduction of minute air bubbles. The bubbles emerge at the base of the tank and attach themselves to the flocked particles then float to the surface as a thick scum. This surface scum is scraped to a collection chamber, leaving a clean water discharge.